When Edible South Florida magazine decided to do an issue dedicated to "classics," I was honored to be asked to participate. As a lifelong South Florida resident with many fond memories of places long gone, generally any opportunity to reminisce is enough to get me started. The piece I contributed is on Jewish delis, and I’ll try not to repeat it here too much - go find yourself a copy or read it online - other than to lay out the basic premise: that if the closing of the late, great Rascal House signified the death of the Jewish deli in South Florida, then Josh's Delicatessen & Appetizing, which opened earlier this year in Surfside, may be its reincarnation. Amid the glut, Josh decided to try something nobody else was doing: a Jewish-style deli. 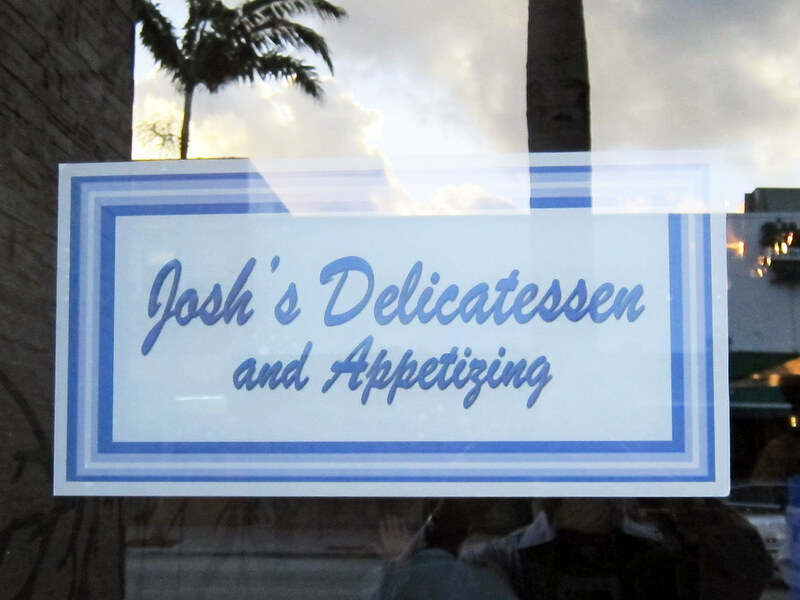 In April, Chow Down's Surfside location became Josh's Deli. Though maybe the only thing that Chinese food and delicatessen food have in common is Jews' fondness for both, Josh’s approach to them has been similar. In particular, virtually everything at Josh’s Deli is made from scratch. He cures his own corned beef and smokes his own pastrami. He prepares his own fish – salmon three different ways (cured, smoked and pastrami-spiced), smoked tilapia for whitefish salad. 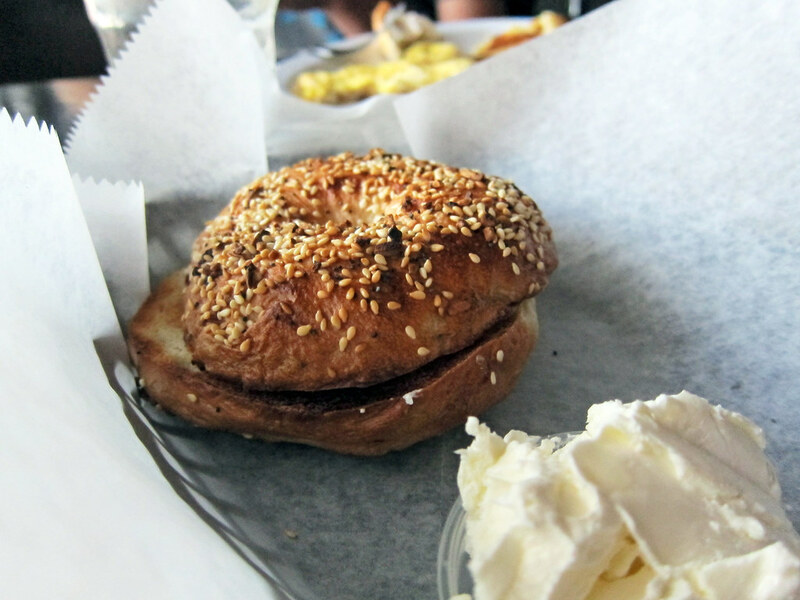 The bagels are specially made for him by a local baker. He pickles his own pickles. He even makes his own mustard. This kind of cooking is a labor of love that many deli owners abandoned years ago in favor of the convenience of pre-prepared, pre-packaged products. It’s a lot more work than cutting open a plastic wrapper, but it’s worth it. His cured salmon, sliced to order, is beautifully silky, achieving that uneasy feat of tasting like fish without being fishy. We brought home some of each variety to break the fast on Yom Kippur, and while family members all had strong opinions on which they preferred and there was no consensus, everyone had a favorite (for me it’s definitely the pastrami-cured salmon). His whitefish salad, which I initially quibbled with as too chunky, has grown on me, with just enough chopped onion, celery and hard-boiled egg to provide some contrast to the flaky smoked fish without overwhelming it. The big decision to make here is, are you eating breakfast or lunch? 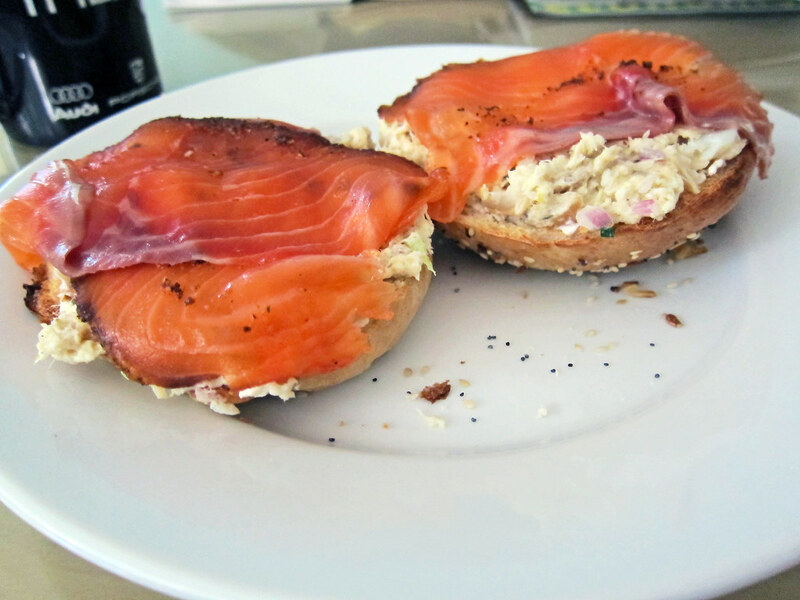 Breakfast items include not only bagels topped with various fish, but also even heartier concoctions both sweet and savory. 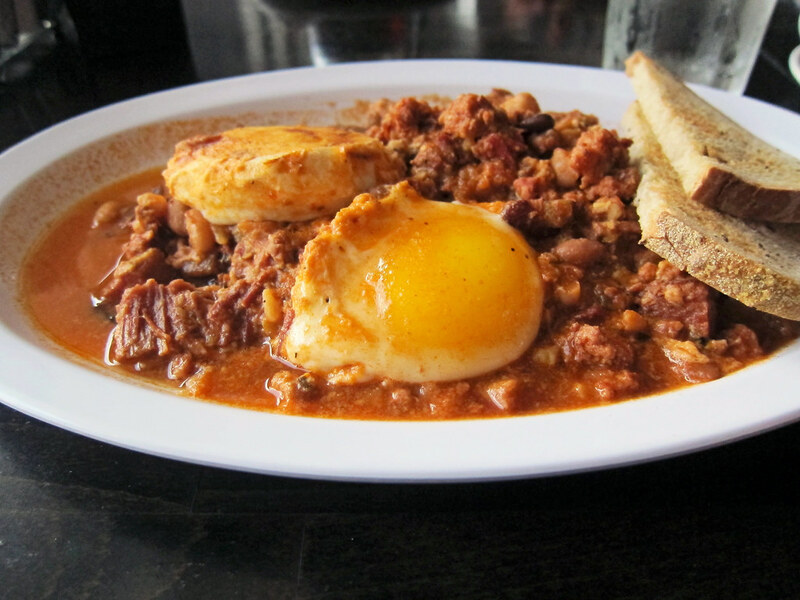 Consider: “Juevos Hebreros” – a mash-up of Mexican huevos rancheros and Jewish “cholent,” a traditional dish that may well be the distant ancestor of the great French cassoulet – with poached eggs served over a hearty brisket and bean stew. Or if you have a morning sweet tooth, there’s French toast made with thick slabs of challah, or the hubcap-sized white chocolate chip pancake, more crepe than flapjack. Josh’s pastrami bursts with flavor – salt, sugar, pepper, garlic, luscious fat, tender meat all in great proportion. It's excellent on its own or in combination with just about anything other than white bread and mayonnaise (and even that might not be too bad). 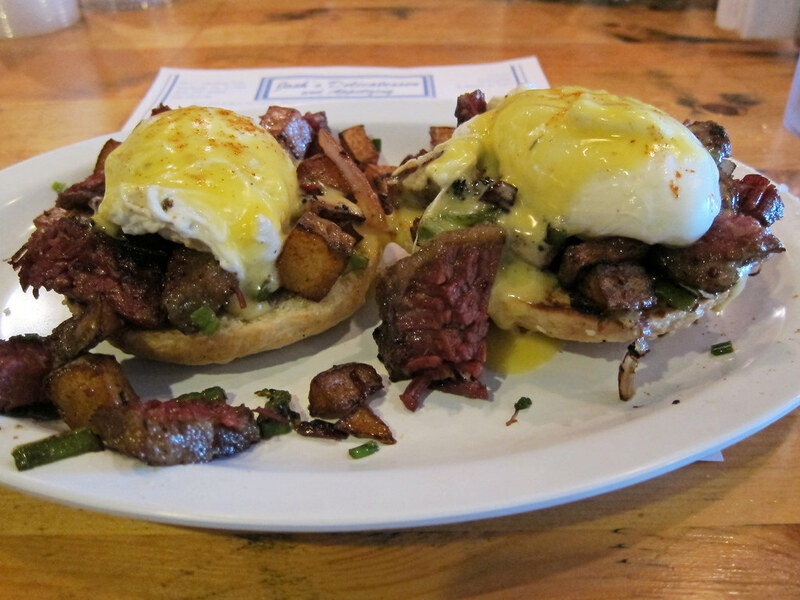 The corned beef I find too dry on its own, but it comes to life in combination with other ingredients: a Jewish “Benediction” – Josh’s take on that brunch staple, eggs benedict, with poached eggs and corned beef hash over a bagel, all topped with hollandaise – is as satisfying a breakfast as you will find in Miami. 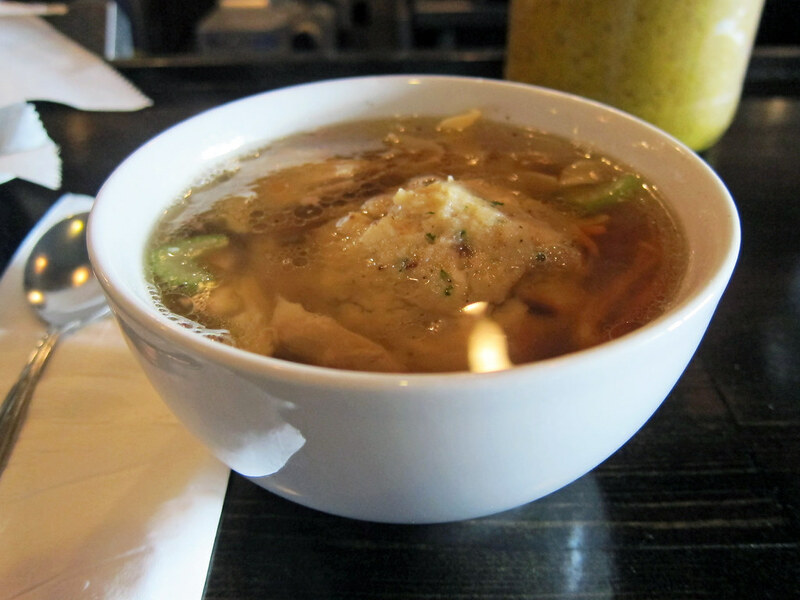 For lunch, there’s a matzo ball soup that is next level stuff: he lightens the matzo balls with ginger ale and enriches them with duck schmaltz (watch how here). I could easily skip the noodles he adds to the broth, but otherwise this is some serious competition for bubbe’s. You’ll want to save room for the sandwiches. There are the classics – pastrami, corned beef, sometimes tongue, tuna salad and the like – but this is also where Josh’s creative impulse really lets loose. 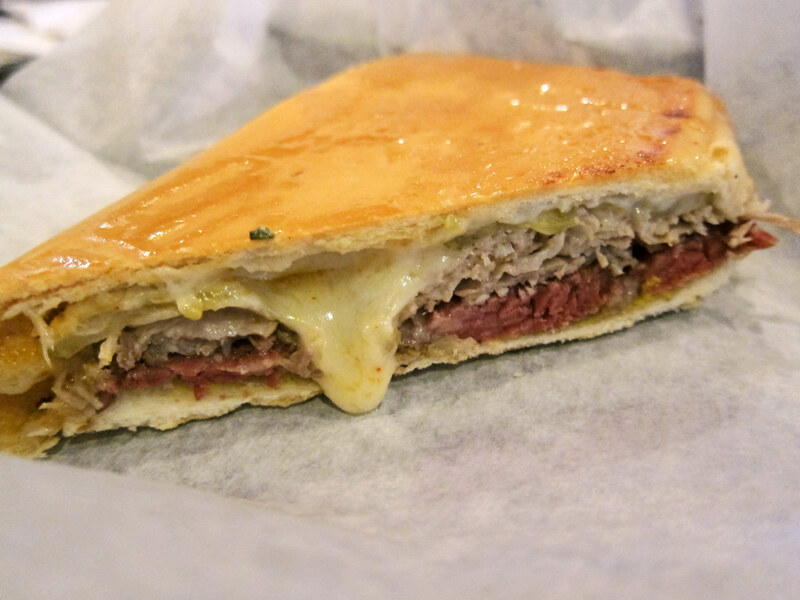 The “Jewban,” an even more traif variation on the classic Reuben, offers both pastrami and roast pork, along with pickles and melting Swiss cheese, on pressed Cuban bread. Or there’s the “Kevin Cory,” named for the chef at Naoe, the local sushi temple, which layers tuna salad, whitefish salad, pastrami-sured salmon, wasabi mayo and Swiss cheese atop a bagel. The “Tricky Ricky” piles turkey, duck prosciutto, brie cheese, onions and fresh spinach inside a hoagie roll. There’s an “Orieyenta” which throws together pastrami-cured pork and a sriracha-infused slaw for something that winds up tasting uncannily like a most excellent Southern pulled pork sandwich. “Jonas the Pilgrim” wedges roast turkey, cranberry sauce, mushrooms and matzo stuffing into a roll for a Thanksgiving leftovers feast before the holiday has even arrived. And the list keeps growing. In Edible, I mentioned how this stuff – the matzo ball soup, the cured meats and fishes, the potato knishes and pickles – is Jewish soul food. Yet that is something of a double-edged sword. On one hand, this is food that resonates with nostalgia and memory. On the other hand, it means everyone already has a very particular notion of what it should be like. If this particular iteration doesn’t match the version that you’ve been imprinted with, it can be a formula for disappointment. But at Josh's I've been a lot more pleased than disappointed, and have nothing but respect for the effort and dedication he puts into his products. 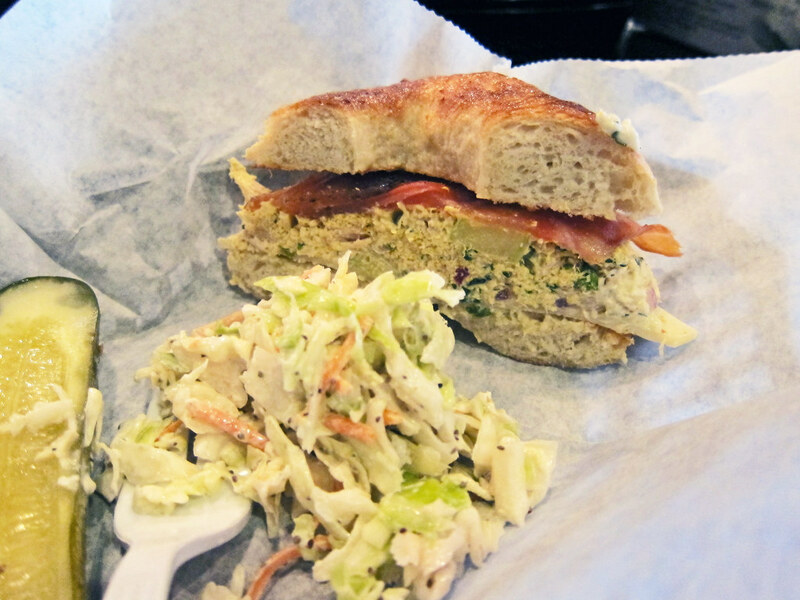 Interest in Jewish deli food seems to have been rekindled of late, and there has been something of a resurgence of the genre - witness Mile End Deli in Brooklyn, Wise Sons Deli in San Francisco, Kenny & Zuke's in Portland. 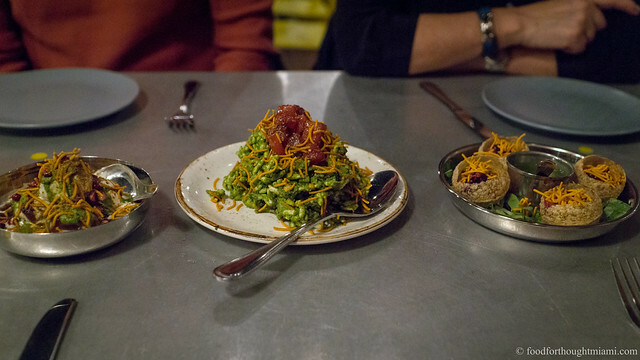 Indeed, it's enough of a "thing" that within the past few days there was a panel discussion on "The Future of Jewish Food" in New York with several high-profile participants, and just a couple months ago Bon Appétit published a list of the "The Best New Jewish Delis in America." I think they may have missed one. At Chow Down, he even started making his own soy sauce. I usually frown at tilapia as a useless fish, but Josh pointed out that Jewish whitefish preparations would usually use whatever was the cheapest fish available: it could be cod (sable), or carp (chub), and often just generic “whitefish.” It works. They are not, as an editing snafu in the Edible piece suggests, “baked to order” a la minute at the restaurant. They are also not yet on par with the fine crusty, chewy bagels you can get at Sage Deli in Hallandale, which remains my local benchmark. But neither are any other bagels you can find in Miami. Josh's bagels are a work in progress and have improved on each of my visits, and are perfectly acceptable when toasted. Or, perhaps, dinner – which he’s talked about adding to the schedule. But I suspect that the ongoing project of converting Chow Down SoBe into “MB Brewhouse” will be consuming more attention for a while. And if you'd rather hear it from the son of a kosher butcher who's pretty opinionated about his food, that can be arranged. Another amusing by-product is that it seems that everyone has their own ideas for what Josh should be adding to the menu. I’ve been clamoring for Cel-Ray soda, which they briefly stocked but can’t maintain a steady supply (of course, I told Josh he should make it in-house, like everything else). Daniel Serfer, the chef at Blue Collar and a fixture at Josh's Deli on Sundays, was lobbying for Mun-chee cheese. Another customer - a young relation of the family that used to own Rascal House, actually - was bemoaning the difficulty in finding a good stuffed cabbage these days. It seems there’s a pretty long request list. Good writeup. Josh has had stuffed cabbage on the menu at times. I enjoyed it. House cured pastrami & corned beef is a real delicacy nowadays ! !